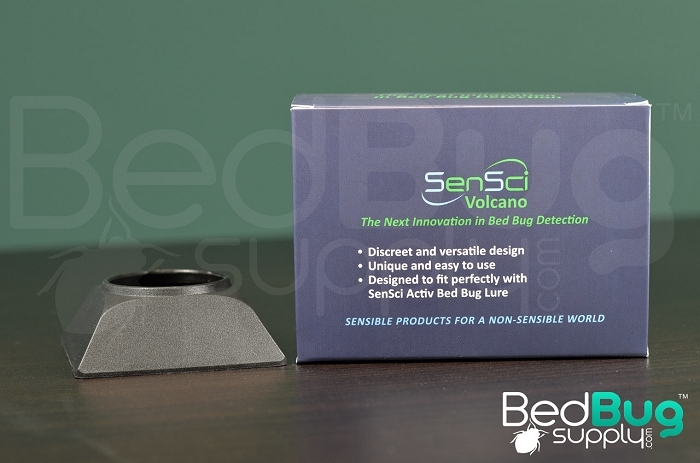 SenSci Volcano is a new passive bed bug monitor that allows you to detect for bed bug activity in any environment. 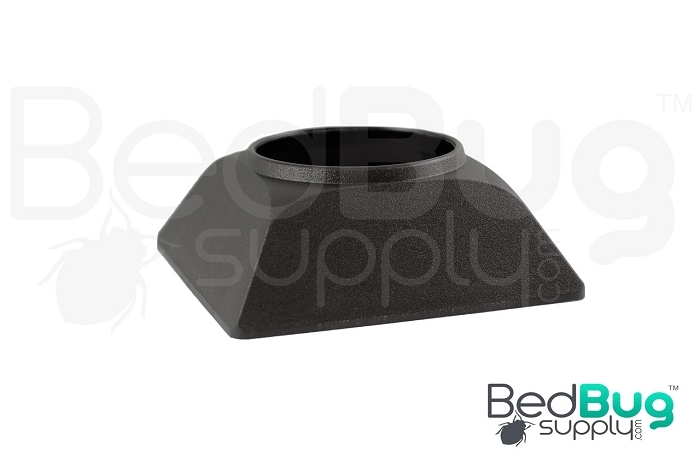 The monitor's features an easy-to-climb exterior and prevents household dust from forming inside the trap, reducing the possibility of bed bugs escaping. Place the monitor by the legs of your beds, in corners, along baseboards, or on any path bed bugs are capable of using, to capture bed bugs before they get to you. SenSci Volcano is sold in boxes of 12 monitors each. SenSci Volcano is a versatile monitor that can be used to control a bed bug population, or to detect for bed bug presence, in any setting. 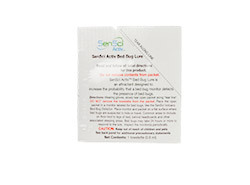 You can include SenSci Volcano in our 4-step solution for getting rid of bed bugs , or use it by itself to detect for bed bug activity along edges, baseboards, or the legs of furniture, located near your bed. Volcano captures bed bugs climbing over the device during the host seeking process, using the person sleeping in the room as the main attractant, and features an inspection window underneath for a clear view of the monitors contents. SenSci Volcano's simple 2-piece design is among few monitors that are made with durable plastics, allowing for endless monitoring cycles. You can significantly increase Volcano’s effectiveness at attracting and capturing bed bugs by turning Sensci Volcano into an active bed bug monitor. 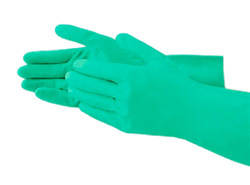 You can do this by inserting an attractant or lure like SenSci Activ Bed Bug Lure (sold separately). The combination creates an effective monitoring device that attracts bed bugs directly into Volcano's trap. SenSci Volcano is a new maintenance-free bed bug monitor that can be used for early detection of bed bugs, or to monitor a population over time. Its clever 2 piece design measures 3x3x1 inches, and features a clear window underneath for easy inspection and lure installation. 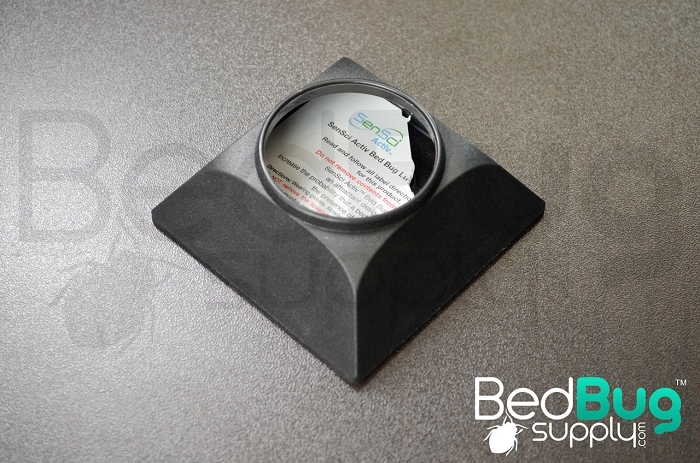 Thanks to its convenient size, you can use SenSci Volcano to discreetly monitor for bed bugs in unoccupied spaces, like guest rooms or commercial areas. Bed bug monitors and traps are essential tools used to detect bed bug activity, monitor a population over time, and to prevent bed bugs from reaching you in your bed. Thanks to extensive research, we learned that bed bugs will instinctively climb over vertical surfaces that they encounter when traveling towards their target host. When bed bugs first encounter the Volcano, they will climb its exterior wall and fall into a pitfall trap where it won't be able to escape. Although most traps and monitors have the same goal, but not all bed bug devices work the same way. In order to use your device effectively, it’s crucial to find out if it works as a passive or an active bed bug monitor. Fortunately, the Volcano can be used in either form depending on the scenario and intended function. Passive bed bug devices (like Volcano) are designed to catch bed bugs, using the host sleeping in the room as the lure. To ensure your passive monitor's effectiveness, place the device along paths you believe bed bugs are using to reach you. 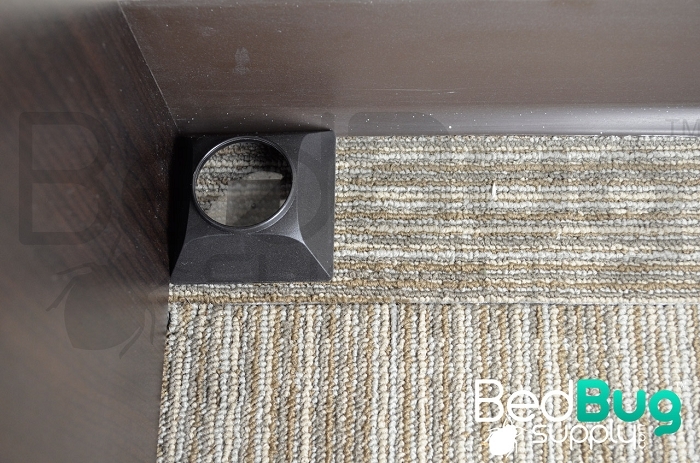 This can be along baseboards, carpet edges, the corners of the room, or by the legs of your bed. Since bed bugs are not likely to come out of their hiding places without signs of a warm body nearby, it might be difficult to catch bed bugs in empty guest rooms or vacant hotel rooms. Luckily, while SenSci Volcano can be used as a passive monitor, it can also be converted to an active bed bug monitor to increase its effectiveness. 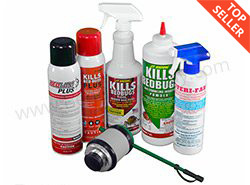 Active bed bug devices are also designed to catch bed bugs before they reach you, but feature a lure or attractant to increase its effectiveness at attracting and capturing bed bugs. You can convert SenSci Volcano into an active monitor by using a lure like SenSci Activ Bed Bug Lure. SenSci Activ attracts bed bugs by simulating human sweat, which causes bed bugs to be actively drawn into the volcano where they can be collected and monitored. This is especially helpful when monitoring for bed bugs in an unoccupied room, where a person is not available but there is still a concern that bed bugs might be hiding nearby. Click here to find out more about SenSci Activ. Q: is it safe for cats? Yes, all of our monitors are safe for pets. Q: do any lures come with the 12 pack or are the lures purchased separately? Active lures are sold separately. You can find those here. The volcano detector works very well, the little demons crawl up in there and they can't get out. I have a small apartment and I've placed 4 volcano detector thru out, it helps to let you know exactly where they are. I would recommend these if you're looking for a good detector and trap. Reviewed by: Peggy from Pennsylvania. Reviewed by: Ava from Charlotte, NC.